Amazingly crafted Eri silk saree from Kolkata. 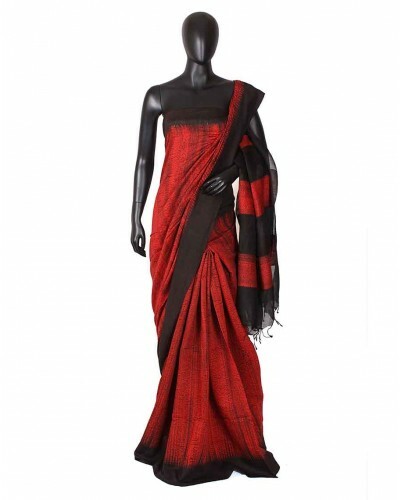 This Eri silk saree in red color gives an elegant look on tiring. Its quality is high and available in an attractive red color. This is a 6.5 meter length saree with blouse. It is simple looking but can be worn during parties. It’s a skin friendly fabric available at Kabita’s saree collection at affordable price.